Anja’s laptop once broke down during a presentation. She had to rely on her memory and good old-fashioned paper brochures for the rest of the presentation. “Never trust technology,” she said while preparing to go on a show that relies on PowerPoint. 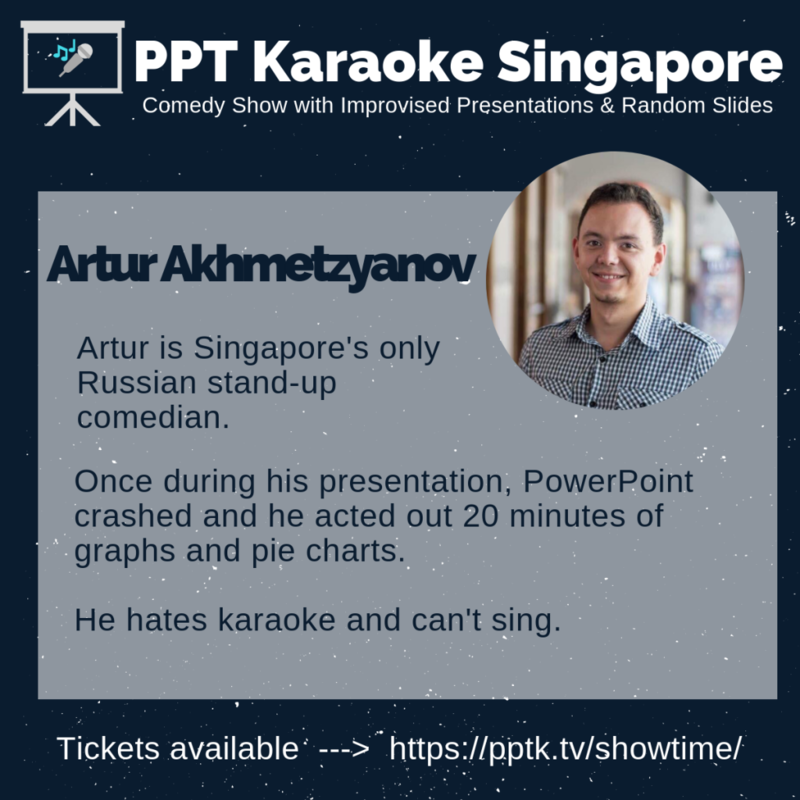 Artur is Singapore’s only Russian stand-up comedian. Once during his presentation, PowerPoint crashed and he acted out 20 minutes of graphs and pie charts. He hates karaoke and can’t sing. 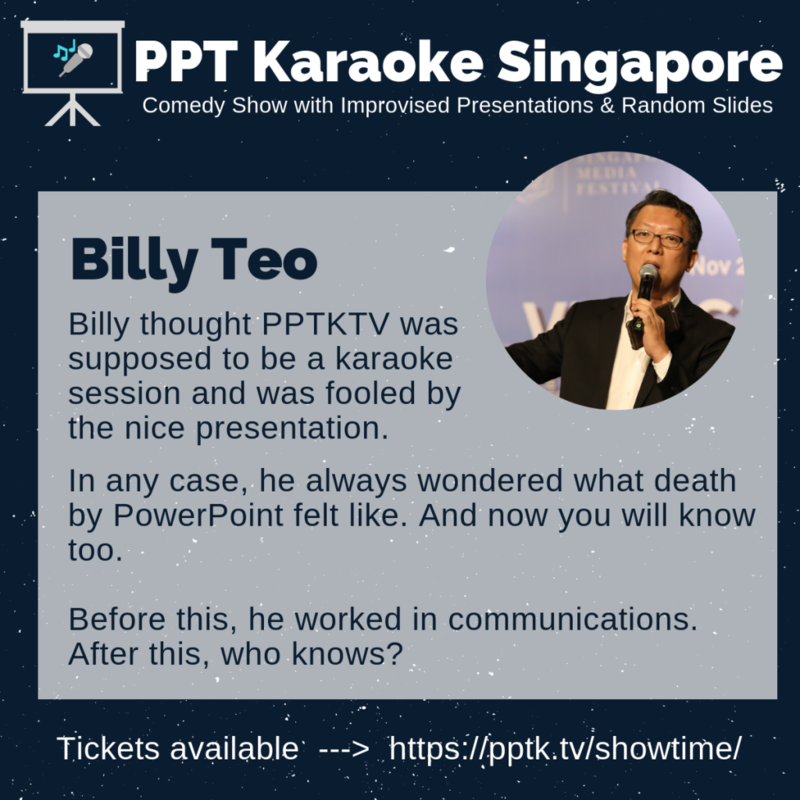 Billy thought PPTKTV was supposed to be a karaoke session and was fooled by the nice presentation. In any case, he always wondered what death by PowerPoint felt like. And now you will know too. Before this, he worked in communications. After this, who knows? 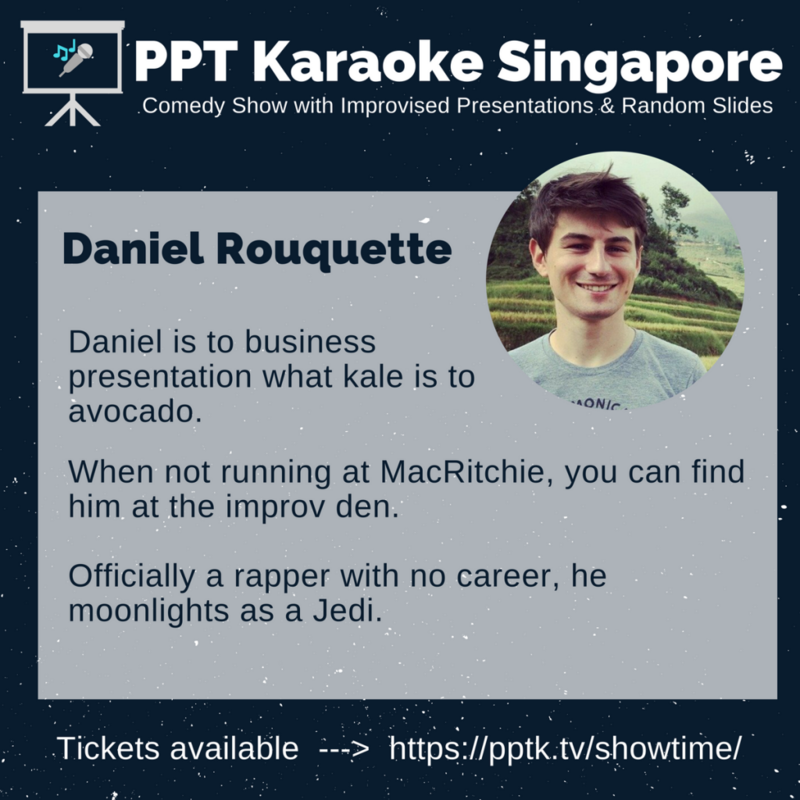 Daniel is to business presentation what kale is to avocado. 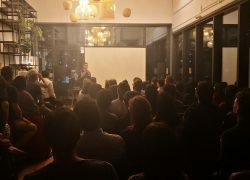 When not running at MacRitchie, you can find him at the improv den. Officially a rapper with no career, he moonlights as a Jedi. 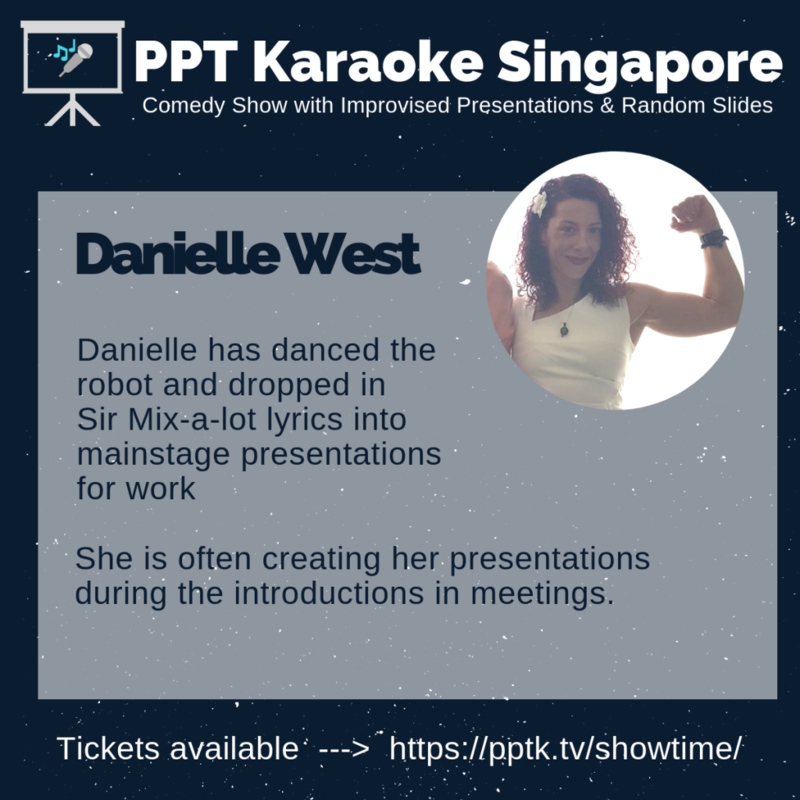 Danielle has danced the robot and dropped in Sir Mix-a-lot lyrics into mainstage presentations for work. She is often creating her presentations during the introductions in meetings. You can also catch Danielle at Singapore Writer’s Festival 2018. 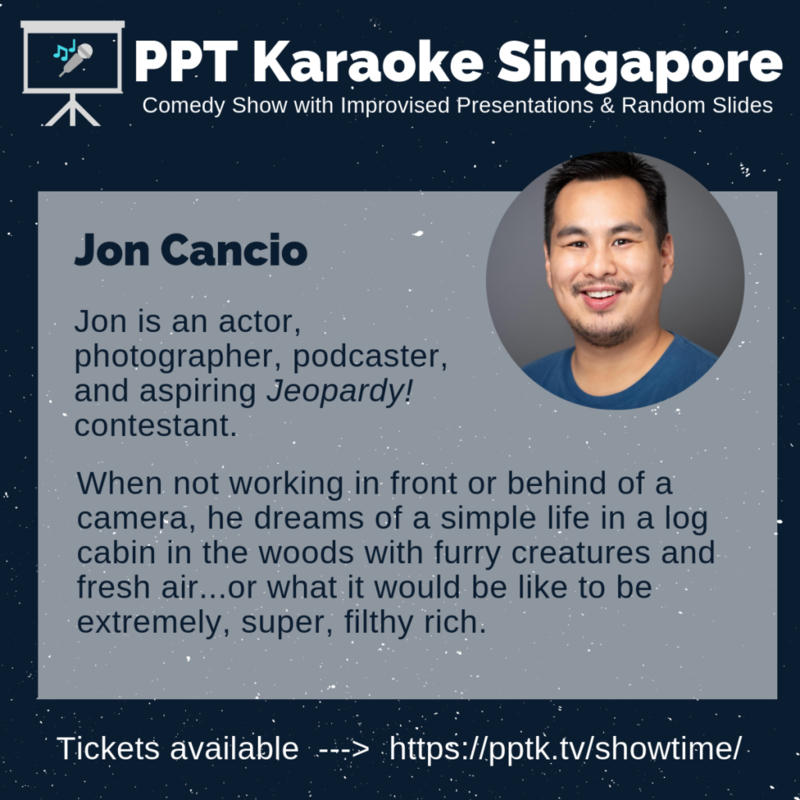 Jon is an actor, photographer, podcaster, and aspiring Jeopardy! contestant. When not working in front or behind of a camera, he dreams of a simple life in a log cabin in the woods with furry creatures and fresh air…or what it would be like to be extremely, super, filthy rich. 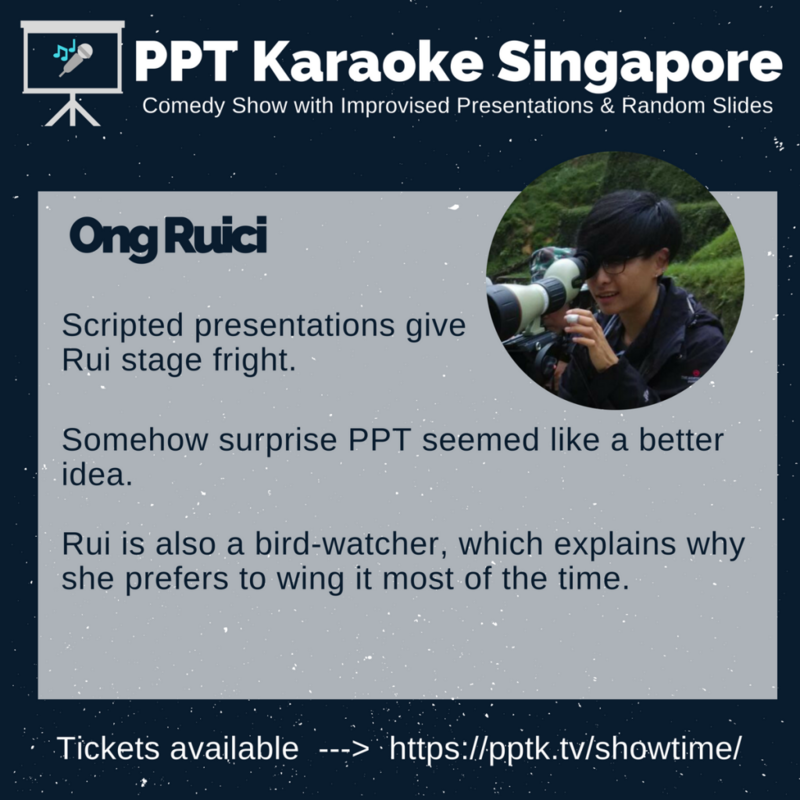 Scripted presentations give Rui stage fright. Somehow surprise PPT seemed like a better idea. Rui is also a bird-watcher, which explains why she prefers to wing it most of the time. Quen is a documentary filmmaker by day and a stand-up comedian by night. 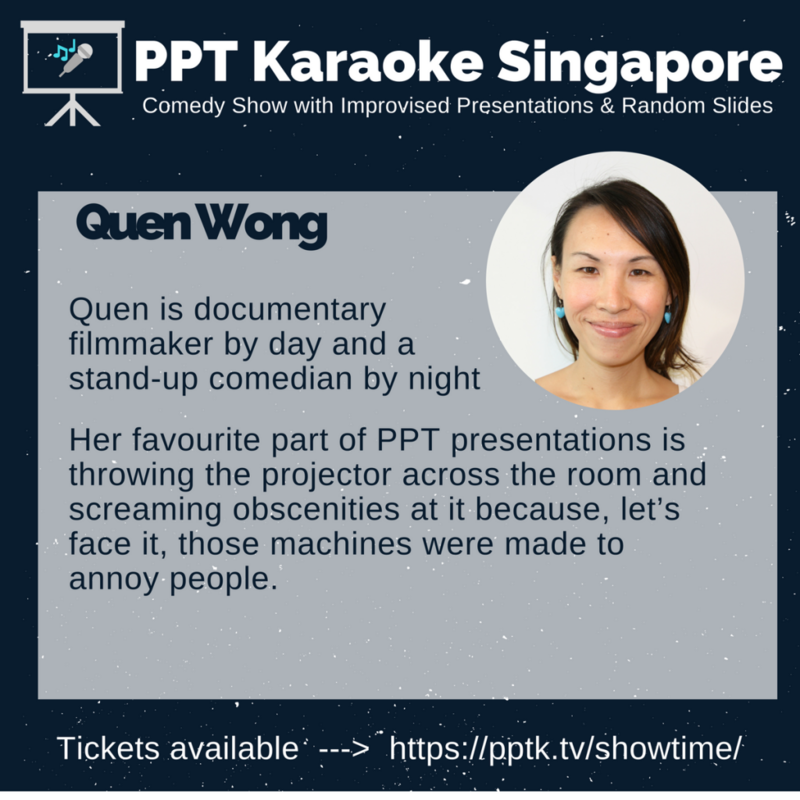 Her favourite part of PPT presentations is throwing the projector across the room and screaming obscenities at it because, let’s face it, those machines were made to annoy people. It’s okay to go off-script. 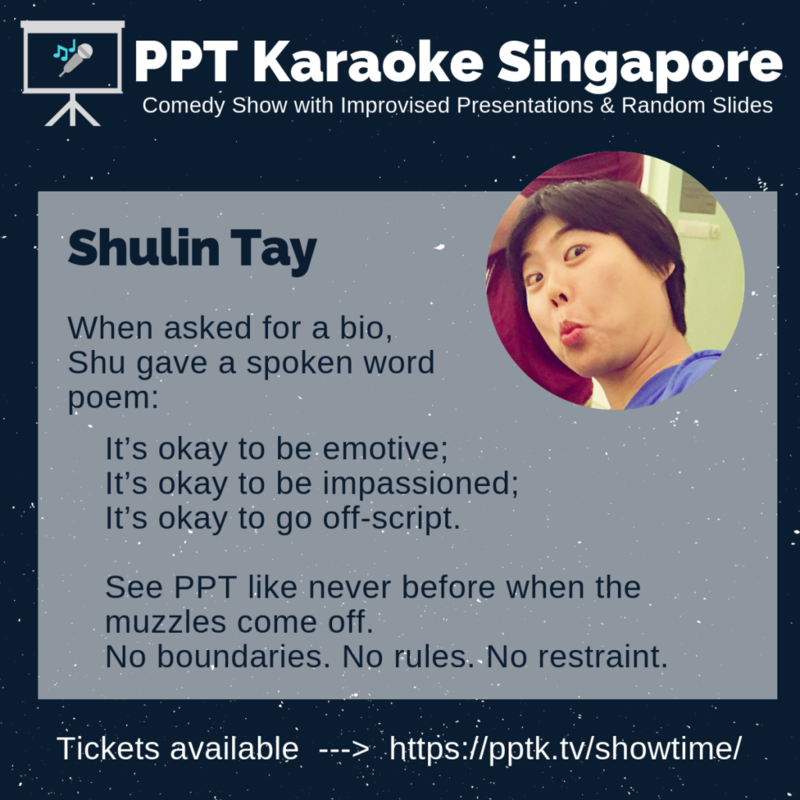 See PPT like never before when the muzzles come off. No boundaries. No rules. No restraint.